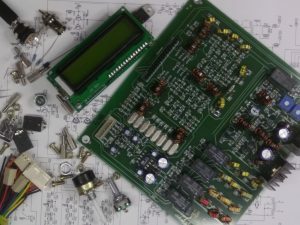 Build the µBITX transceiver in an evening. 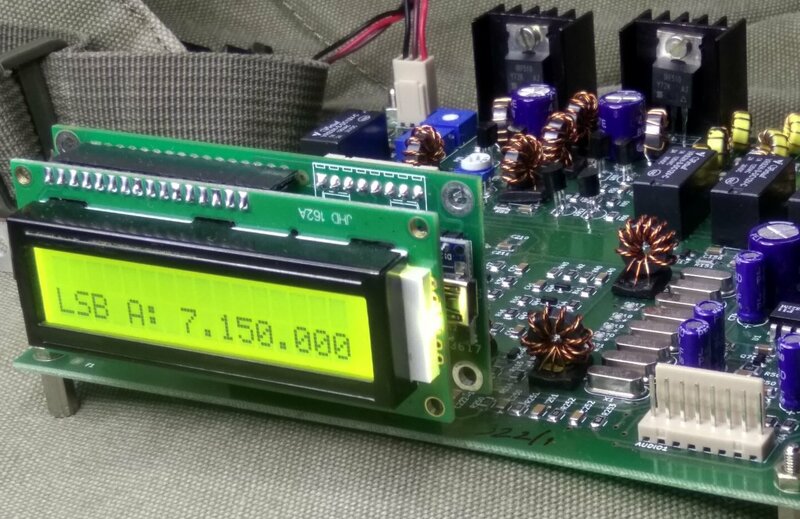 A general coverage, 10 watts HF SSB/CW transceiver kit with features you NEED for operating ease, convenience and versatility. It works from 3 MHz to 30 MHz, with up to 10 watts on SSB and CW, with a very sensitive receiver. It features digital tuning, dual VFOs, RIT, CW Keyer and more. It is a small 6 inches by 5-1/2 inch board with minimum wires and controls that you can drop into any box and wire up within an evening. Add batteries and its low current consumption will make it an ideal travel companion or a great station rig. The µBITX has a sparklingly clear receiver. A roofing filter at 45 MHz and an 12 MHz QER SSB filter with a whopping 8 crystals. Powered by the Si5351, it gives you rock stable performance at all frequencies. Work that PSK31 or FT8 pile up or just ragchew the local gang. It sports a push-pull output and driver stage for a low distortion, big station sound. It uses cheap IRF510s for PA, so you don’t have to worry about blowing up your finals, they are cheap to replace. The Raduino The µBITX ‘s Raduino plugs into the main µBITX board. It is an Arduino Nano powered, small, hackable board based on the rock steady Si5351 synthesizer with a 16×2 LCD display, 6 analog ports, three oscillators and six digital lines. It comes preloaded with µBITX’s free and open source software, so you can add all the features you want to! Receiver Listen to the sensitive, low distortion, all analog receiver. The front-end diode mixer followed by a Hayward/Kopski TIA makes this a crisp receiver that doesn’t overload easily. The 45 MHz roofing filter at the first IF and the 8 crystals SSB filter will please your ears with natural sound. Transmitter 10 watts of low distortion SSB provides you with enough juice to have thousands of contacts on all HF bands. Chase DX on CW, ragchew on PSK31 or work the nets on SSB. Any common 3 ampere 12 linear volts supply or a set of eight AA batteries will provide enough power for this transceiver. To be hackable, it has to be understandable. The µBITX circuit design is simple enough to fit a single page. It’s simplicity encourages you to modify, change and experiment. The µBITX is easily programmable in Arduino’s simple C language. The rig can be uploaded with your own software with just a USB cable. If you made a mistake, just load back the original version from the web! 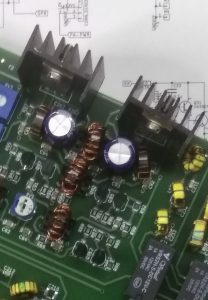 The main board uses discrete, large-sized SMD components laid out in an easy-to-understand manner on a double-sided board with broad tracks. This can be your main module around which you can start experimenting. The boards can be installed inside any box that you like. Make your own station rigs, man-packs, SOTA rigs, trail radio or mount it in a cigar box and leave it on your bedside table. We have tried to include all the connectors/hardware you might possibly need to build a full radio. However, we also had to balance the shipping weight to keep the overall cost down. You will have to supply your own box, power supply and earphones/headphones/speaker. 6 inches by 5-1/2 inches tested SSB /CWtransceiver module, covering from 3 MHz to 30 MHz. Fully tested. Some resistors to wire up the CW keyer. The µBITX boards are hand-assembled by a collective of women. Each of the toroids is hand wound. This provides these women with livelihood. The assembled boards are then DC checked and a final RF check is performed to check the receiver’s sensitivity as well as transmitter’s output before being shipped. Each board is individually numbered.